New Mexico’s medical marijuana market is about to go through a significant growth spurt – and get some more competition. The state has selected a dozen applicants out of an initial pool of 86 to receive new business licenses and join the 23 nonprofit producers and dispensaries already operating. The new licenses will help fuel growth in the state’s medical cannabis industry, which is expected to rack up between $25 million and $30 million in sales this year, according to the Marijuana Business Factbook. The market could potentially grow by millions of dollars in the years to come as the new producers and dispensaries help alleviate the industry’s serious supply issues. New Mexico’s health department did not release the names of companies that won initial approval for licenses, but Marijuana Business Daily learned that at least one out-of-state company, Colorado-based Shift Cannabis, has won a permit. They plan to set up shop as Shift New Mexico in Santa Fe. 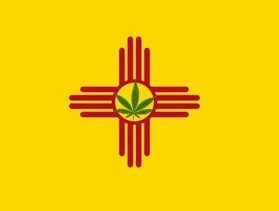 Shift, which bills itself as a nationwide consulting firm that has various business interests in the cannabis sector, teamed up with a local partner in Santa Fe, landing a new license in the county. Officials also awarded eight new licenses in Bernalillo County – which includes Albuquerque – as well as one license apiece in Chaves, Taos and Valencia counties. The health department developed a scoring system to choose winners, factoring in everything from production and distribution plans to security, location and product selection. The Santa Fe Reporter newspaper put together a database of possible applicants based on corporations listed with the secretary of state that use either the word “marijuana” or “cannabis” in their registrations. The state recently changed a confidentiality rule that kept the names of MMJ producers secret, but the new regulation hasn’t gone into effect yet. New Mexico differs from many other MMJ markets in that it doesn’t license specific storefront dispensaries or cultivation operations – instead, it grants a single license to nonprofit producers. Each can grow up to 450 plants and distribute via however many dispensaries they choose. Delivery services are also legal and were even a part of the application process. Rachael Speegle, the director of operations at Albuquerque MMJ producer and dispensary the Verdes Foundation, said she’s glad the state is bolstering its medical cannabis program. But she said there’s still room for improvement. Although a spokesman for the New Mexico Department of Health did not return a phone call requesting comment, it’s arguably not surprising that the bulk of licenses went to the Albuquerque area, given that over 6,500 of the state’s 17,537 registered MMJ patients are in Bernalillo County. In Santa Fe County, on the other hand, there are only three dispensaries listed on Weedmaps and about 2,200 registered patients in the county. Speegle said she believes the new licensees will make the market more competitive for existing dispensaries, but said a better way of going about meeting demand in the state would be to simply allow licensees to grow and dispense more MMJ. The limit was increased earlier this year to 450 from a previous cap of 150, but with that came an increase in fees for producers, from $30,000 a year to $90,000 depending on how many plants a cultivator chooses to grow. The new cap still is not really enough, Speegle said. In the meantime, the number of registered patients keeps growing, Speegle said, and it’s not easy for producers to keep up with demand, which then helps keep the black market alive. Still, the supply vs. demand issue means some new players might be able to carve out a market quickly. Rob McEvoy, a principal at Shift, said the firm spent a good amount of time and energy on the application and is excited to be joining the New Mexico market. McEvoy estimated that it will probably likely take until next summer before the dispensary is up and running. The state has not yet released publicly further details on timelines. UPDATE: The state initially announced that just one company won a license in Santa Fe County, but two separate businesses – Shift and Kure – both received letters indicating they have been chosen to receive a permit to operate there. Marijuana Business Daily has seen copies of these letters. A Department of Health spokesman declined to comment on the situation because he’s bound by state law to keep license winner identities confidential, so the issue remains murky.